It’s no secret that Android and iOS have swiftly become the default platforms of choice for anyone looking to get into game development. In just a mere six years the App Store and Google Play has managed to transform the games industry, reaching into previously untapped demographics, and achieving a scale that traditional game consoles could only dream of, with strong growth ahead. Just take a look at Microsoft’s leaked road map back in 2013, where it says it hopes to sell 100 million units of the Xbox One over a 10 year life span. Compare that to the Android, which has seen more than one billion device activations over the last six years alone. But it’s not just scale or revenues that’s attracting game developers to Android and iOS. Due to the casual nature of mobile games, producing a mass market title has never been easier or cheaper, spurred by a whole range of game engines, frameworks, resources and codeless development platforms. So if you’re looking to get into iOS and Android development, or if you want to expand your expertise and knowledge, what are the key resources and tools you need to be aware of? Hopefully this guide will set you on the right track. Below you’ll find more than 100 links to the best mobile game creation tools and engines, mobile game development tutorials, advice on how to sell your game, promotional networks that can help get your game noticed, and communities where you can ask questions and get support. If you think we’ve missed something feel free to get in touch and let us know. Don’t know your Objective C from your Java? Have no fear, these days you can create fully-featured mobile games without writing a single line of code. Below we’ve rounded up all the major mobile game creation platforms, most of which don’t require any programming knowledge. Sure, you may have to sacrifice flexibility and have to pay a subscription fee, but if you don’t have the time to learn a coding language then this is your best option. For more suggestions check out our round-up of the best Android game makers (most of which are cross platform). Construct 2 – Mobile game maker for Windows that lets you create iOS, Android and Facebook games without any programming knowledge. Uses simple ‘event-based’ interface. GameMaker – One of the most popular platforms that uses a drag and drop visual interface to let you create games for Android and iOS. Was used to build iOS game Froad and Grave Maker. Styncyl – Game creation platform for iOS and Flash. Features a visual drag and drop interface. Says Android and HTML5 support coming soon. PlayMaker+Unity – Perhaps a bit harder to get to grips with than other non-coding tools on this list, but many game devs find the combination of Unity with PlayMaker is a powerful platform. Multimedia Fusion 2 – Lets you generate both games and apps for iOS, Android, Java and XNA without any programming. Says you can learn the basics within an hour. PlayIR – Newcomer to the market, PlayIR focuses on helping developers create multiplayer 3D games. GameSalad – Drag and drop game creation platform that lets you develop and publish to Windows Phone, iOS, Android and HTML5. Created iOS games Angry Anna and Zombie Drop. Gideros Mobile – Uses Flash-like functions to let you create games and apps. Not quite as simple as some of the above game creators, but you don’t need to know any high-level programming languages. LiveCode – Lets you use an “intuitive” graphical interface and ‘English programming language” to let you create games quickly. Says it can port between iOS and Android. Game Editor – Open source game creation platform that’s free to use (as long as your game is open source). Supports iOS and Windows Mobile. If you’re going to build an iOS or Android game then you’ll want to use a decent game engine. Game engines are software frameworks that provide the basic elements of a game, such as 2D or 3D graphic rendering, physics, sound, AI and animation. Below we’ve rounded up a whole range of mobile game engines and frameworks (which are similar to game engines but require more effort to use on the part of the developer). For more information on using game engines and frameworks check out our list of mobile game development tutorials further down the page. Edgelib – 2D and 3D middleware game engine that supports iOS, Android, Windows Mobile (possibly WP, but not clear) and Symbian. Unity Mobile – Mobile version of the popular 3D Unity engine. Supports iOS and Android. Used to create the Madfinger game Shadowgun. Emo – Mobile game framework. Uses Squirrel scripting language and based on OpenGL ES and OpenAL/OpenSL. Lets you write your game once and run on both iOS and Android. Unreal Development Kit – Free version of the industry-leading Unreal Engine III. UDK is used to create games, apps and advanced 3D simulations. Supports iOS and Android. JMonkey Engine – Free open source Java OpenGL engine that lets you program in Java and port to any OpenGL 2 compatible device. Esenthel Engine – Claims to be a “high performance” and “easy to use” engine for Android and iOS, as well as Windows and Mac. ShiVa3D – 3D game engine and development toolkit that claims to be “the most cross platform” mobile game engine, supporting iOS, Android, WP and BlackBerry OS. Corona SDK – Popular app development platform that lets you create games (as well as other apps) for iOS and Android. Claims to be used by more than 150,000 developers. MonoGame – Open source 2D Android and iOS engine that boasts around 18 published games. Libdx – Android, HTML5 and Java 3D/2D game development framework. Free to use. Lets you write once and deploy to multiple platforms. Papaya Social Game Engine – 2D game engine from Papaya design to help developers create social mobile games easier. Supports iOS and Android. Orx – Bills itself as a portable and lightweight 2D open-source engine. Marmalade – Game development tool that lets you develop cross-platform native games and apps in C/C++ and deploy to both mobile and desktop. Supports iOS, Android and BlackBerry. BattryTech – Game development framework that lets you write native C++ code for Android and iPhone platforms. App Game Kit – Uses a BASIC script language to let developers code once and deploy to multiple platforms including iOS, Android and BlackBerry OS. Starling – Cross platform framework used by the likes of Rovio. Particularly promotes its fancy particles system. Antiryad Gx – Cross-platform multi-core 3D and 2D game engine for iOS, Android and WP . Supports C, C++ and Gel. PlayCanvas – Open source WebGL game engine for Android, iOS and HTML5. Offers free hosting for games developed on its platform. iTorque – 2D game editor for iPad, iPhone and iPod Touch development. Used to create titles such as Hospital Havoc and Sushi to Go. Cocos2D – Framework for building 2D games for iPod Touch, iPhone and iPad. Claims to be used by more than 2500 games on the App Store. Sparrow – Free-to-use open source game engine for iOS. Uses pure Objective C and was built from the ground-up for iPhone and iPad. Oolong – Free to use game engine written in C++ that lets you create new iOS games and port existing games to iOS devices. Newton – Open source zlib-licensed real-time physics engine that’s designed to be used with basic knowledge of physic principals. Free-to-use. Kobold2D – Improved version of the popular Cocos2D engine for iPhone. Claims to be easier to use than Cocos2D and more powerful. DragonFire – 2D iPhone and iPad development tool for Windows. Used to create games such as Little Train and CakeoRama. Candroid – Free-to-use (donation appreciated) game engine for Android. Android Arsenal – Nice collection of links to a variety of Android libraries. AndEngine – Free-to-use Android 2D OpenGL game engine developed by Nicolas Gramlich. jPCT AE – Free 3D game engine that’s a port of jPCT for Android. Supports OpenGL ES 1.x and 2.0. Used to create Aaagh! and Airdroid on Google Play. Android Toolbox – Big collection of libraries for Android. Android Box2D – Award-winning 2D rigid body physics engine written in C++ for Android developers. Catcake – Free-to-use 3D graphics engine for Android (as well as Linux) intended to be easy-to-use and high-performance. Cocos2D for Android – Framework for building 2D games on Android. Based on the Cocos2D framework for iPhone. Free-to-use (donation appreciated). Whether you’re a complete beginner, intermediate, or expert, you can always learn something new. Below is a list of free online tutorials and guides to mobile game development, covering everything from programming, to the administrative processes involved with submitting games to app stores. Raywenderlich.com – A whole load of tutorials can be found on this page, from Objective C crash course, to Swift and Cocos2D tutorials. Developing iOS 7 Apps – Non-game-specific, but still a good collection of free video lectures on iOS development. Intro to Swift – Good tutorial on Apple’s Swift programming language, using a Tetris clone. Gamasutra Guide – Brief guide to getting started with iPhone development, covering the adminstrative stuff. A little dated but covers the basics. Cocos2D Flappy Bird Guide – Step-by-step guide on creating a Flappy Bird clone with Cocos2D and Sprite Builder. iDevgames Programming for beginners – Four page beginners guide to iOS game development. Including info on libraries and engines and programming languages. Publishing a Commercial iPhone Game – Dated but useful guide from the developer of Asterope, detailing step-by-step how he made his game. iPhone 3D programming – In-depth ebook covering iPhone game development with OpenGL ES. Not for beginners. Complete iOS Game Tutorial – Handy tutorial that takes you step-by-step through the development of Pong on iOS. Covers menus and design, as well as gameplay elements. Learn Cocoa – Whole series of articles on how to use iOS engine Cocoa, spanning Objective C lessons and Cocoa Graphics. Cocos2D programming guide – Collection of in-depth guides on Cocos2D’s official website. KiloBot – Game developer that has a great Android game tutorial section on its website. Well worth checking out. Building Your First App – The introductory lesson on Android app building on the official Android site. Essential reading for beginners. App Fundamentals – Another basic guide from the official Android website designed for complete beginners. Android Game Development Tutorial – Guide specifically on making Android games for beginners. Still a work in progress, but pretty comprehensive. Android Application Development Videos – Over 200 video guides to Android application development. A great resource if you’re a visual learner. Android Game Development – Basic introduction to game architecture and sprite animation over on the Javacodegeeks website. See all mobile app development companies to find the best fit for your business. It’s all well and good developing an amazing game, but you need to consider how you will promote it if you want people to play. It’s no secret that app store discoverability is a big issue right now for all platforms. The App Store and Google Play simply weren’t built to cope with the hundreds of thousands of apps that have rolled-out in such a short space of time. There’s now a whole industry of technology platforms and agencies built around getting developer apps discovered (see below). But at the very bare minimum, with no expense, you should consider contacting relevant press and understand how app store optimsation works. Below are a few handy guides to promotion that all developers should read. Android advertising: How to make money – guide to maximising your app revenue. While this is geared toward Android devs, the advice is pretty universal. Well worth reading if you plan to use ad-based revenue model. How to contact the gaming press – Guide to contacting gaming websites, blogs and magazines in order to help promote your game. Indie Game Marketing Guide – In-depth guide from Gamasutra taking you through various stages of marketing an indie game. Mobile App Promotion Tips – Round-up of advice from app marketing specialists via the App Promotion Summit. Not game-specific, but good if you’re thinking about performance marketing. MindJuice iOS marketing tips – Nice little checklist to ensure you’re properly marketing your game. IOS-specific, but good advice for all platforms. Idiots guide to marketing your indie game – Gamasutra’s guide to marketing your indie-game. Not mobile-specific, but worth reading. Zero Budget Indie Game Marketing – Guide on marketing and promoting your game without spending money. Not mobile-specific, but lots of relevant advice here. TigerStyle sales figures – Popular developer Tiger Style shares some numbers and tips regarding dropping your game’s price on the App Store. How To: Promote your app – mobyaffiliates guide on app promotion. Not game-specific, but this guide covers pretty much everything you need to know. App promotion: Ask the experts – we asked three app promotion companies what their top tips are for developers. Chartboost – Popular mobile cross promotion network that lets you promote games for free. TapDaq – Cross promotion network aimed specifically at the mobile indie developer community, works on a freemium model. Applifier – App promotion network that works by delivering a user to your app everytime your app delivers a user to another developer – with no fees involved. Based in Helsinki, Finland, with offices in San Francisco. TapJoy – App promotion network that offers non-incentivized app download network. TapJoy also provides sponsorship for developers looking to port their app to Android. Based in San-Francisco, US. App Optimisers – UK-based app promotion agency specialising in social media marketing, video and blog promotion. 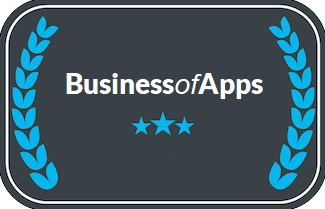 Claims to have promoted 5 top 10-ranking apps. HumanDemand – App promotion platform that’s entirely self-serve and aimed at developers on a tighter budget. Fiksu – App marketing company offering non-incentivized download network on iOS and Android. Works with brands such as VH1 and Barnes and Noble. Based in Boston Massachusetts, USA. App Promo – Full service app marketing agency offering PR, ASO, development, mobile advertising and more. Based in Toronto, Canada. You may not realise it, but there’s plenty more app stores out there than the first party offerings from Apple, Google, Windows and RIM. There are a whole bunch of carrier-owned stores and manufacturer-owned stores, as well as stores aimed at different countries. Most of these are free to sign-up to, so you might aswell get your app on as many stores as you can, especially ones that come pre-loaded on devices. Below are a few of the biggest 3rd party stores, and a few aimed a games specifically. For a comprehensive list check out our app store directory here (we managed to find around 70!). 1Mobile – Android app store that focuses mainly on games and claims over 60 thousand total apps. Tegra Store – App store run by graphics chip company Nvidia. Highlights videogames that are designed for use with Nvidia’s Tegra smartphone chip. AppsLib – Claims to be the second largest Android app store after Google Play. Specialises in lesser-known Android devices, such as tablets and eReaders, that are unable to get Google certification. Claims to have install base of over 2 million tablets worldwide. MatchFuel– Not quite an app store, but provides daily app videogame recommendations to Android users via a storefront. Formally known as Andspot. Handster – Claims to features over 30,000 apps from 4000 vendors across Android, Symbian, Java and BlackBerry platforms. Also offers white label platform to manufacturers, distributors and carriers. Owned by Opera. AndroidPit – App store run by the Berlin-based Android website AndroidPit. Includes apps selected by editorial team. GetJar – One of the biggest 3rd party app stores currently in operations. Claims to distribute more than 350 thousand mobile apps, with 395 registered developers. Also offers a pay per download system to help developers get visibility. Biskero – Mobile content store that focuses on distributing Flash games and apps to mobile devices. Works primarily across Android and Nokia handsets. Kongregate – Mobile and desktop Flash-powered app store that focuses on videogames. Claims to reach over 6 million mobile and desktop gamers, with 56 thousand Flash games. Forums are an indispensable resource if you need to ask questions and get help from the wider development community. They are also a great way to keep-up with all the latest news and issues that affect development across your mobile platform of choice. Below is a list of the biggest and most active app developer forums for each of the four main mobile platforms. iPhone Dev Forums – Not the most active forum out there, but still has plenty of posts and resources that are worth a look. Apple Developer Forums – The official Apple developer forums. You need to be on the Apple Developer Program to access. MacRumours Forum – iOS dev sub forum for the popular Apple news blog MacRumours. Fairly active. iPhone Dev Sub Reddit – iPhone dev subreddit on Reddit. Not exactly a forum, but a great place to keep up with iOS dev news. iDevGames Forums – Comprehensive iOS developer forum covering graphics, game design and everything else. Corona Forums – The official forum for discussion of iOS development framework Corona. Great resource and very active. TouchArcade Dev forums – iOS development forum dedicated solely to games. Great place to discuss game design and the business aspect of indie development. Anddev – Big forum covering all aspects of Android development. Some great tutorials can be found here. Google Groups Android Devs – The Google Groups for Android development. Great place if you need quick answers. Very active, but not so much for beginners. Android Dev Sub-Reddit – The SubReddit for Android developers. More a source of news and information than a discussion forum. But worth checking out. Android StackOverflow – Android developer questions on StackOverflow. Great place to explore if you’re a beginner and brimming with questions. Phandroid Forums – Developer forums for website Phandroid. Features a handy folder dedicated to beginners. Stack Overflow – Indispensable resource for programmers that lets you ask questions and find answers to everything from Android to HTML development. Lots of mobile game content here. You just need to search for the relevant tag. XDA Developers – Very big community of Windows Phone and Android developers and enthusiasts. Not specifically aimed at game devs, but still useful. Mobile Marketer Club – Private forum that discusses ways to promote and monetise apps. Just started out, so membership is thin, but it’s growing fast. GameDev Mobile Forums – The mobile forums for popular site GameDev.net. Not very active. App Dev Room – Application development forum covering Android and iPhone. Not very active. For more tools and platforms for app development check out our directory. Have any suggestions for our list, drop us an email and let us know.